Avoid Lavender and Tea Tree Oils In Personal Care Products? Author SimaPublished on September 8, 2016 March 28, 2018 Leave a comment on Avoid Lavender and Tea Tree Oils In Personal Care Products? Over the years I have read about some oils, especially lavender and tea tree oils, as having hormone altering (endocrine disrupting) effects when used over prolonged periods of time or when someone is "chronically exposed". Especially worrisome was the possible estrogenic effects of lavender oils in shampoos, lotions, and soaps on developing children - especially boys (prolonged use leading to the development of breasts in some boys!). I just read a recently published journal study (with very interesting comments at the end), and an article in WebMD about this same topic. The condition of early breast development is called prepubertal gynecomastia in boys and thelarche in girls. As you can imagine, the industry (Australian Tea Tree Industry Association and Research Institute for Fragrance Materials Inc) calls such research "poor science". Of course industry sponsored "research" never ever finds any problems (because any "problems" would impact the big $$ from the sale of those products). In fact, I would be skeptical of any industry sponsored research in this area - it is not truly independent, unbiased research if they "have to" and "want to" find no problems. So when you do read industry research, also read the rebuttals by independent scientists and doctors. Bottom line: No matter the age, avoid prolonged use of lavender and tea tree oil in personal care products, including "aromatherapy" - especially important for children and pregnant women. The good news is that the development of breasts in young children is reversible when use of the product is stopped. But better to avoid such products (including Agua de Violetas) on children in the first place. Instead use unscented personal care products. From WebMD: Are Tea Tree and Lavender Oils Safe for Kids? Tea tree and lavender essential oils are popular ingredients in personal care and household products, including many aimed at children. But can the ingredients, often promoted as “natural” alternatives, trigger abnormal breast growth in boys and girls? A few small studies suggest that frequently using lotions, shampoos, styling gels, and even a certain cologne containing lavender and tea tree oils may cause breast growth in boys, also known as gynecomastia, along with breast growth in girls as young as 4 or 5. Other studies have not reached the same conclusions, and the cases appear to be rare. In addition, scientific research into most natural products is scant. The FDA doesn’t oversee essential oils unless they are intended for use in a drug, making it challenging to know how safe and effective these products are....Lavender and tea tree oils are among the most commonly used essential oils used. Although research is inconclusive, lavender is often used for aromatherapy and calming lotions, while tea tree oil is promoted for acne, nail fungus, and other skin conditions. In 2007, pediatrician Clifford Bloch, MD, noticed that three of his patients, boys ages 4, 7 and 10, had abnormal breast growth. After talking with their parents, he learned that one had been exposed to a lavender-based “healing” balm, another to a hair styling gel and shampoo with lavender and tea tree oil, and another to a shampoo and skin lotion with lavender. Bloch ran tests looking for internal and external sources of the hormone estrogen that could potentially cause this to happen in the boys. He finally arrived at the cosmetic products the boys were using. Lavender and tea tree oil have phytoestrogens, substances that mimic the hormone estrogen. Soy is a source of phytoestrogens, too. Bloch’s findings, published in the New England Journal of Medicine, led to a 2007 National Institute of Environmental Health Sciences (NIEHS) study that found both oils can act like estrogen. 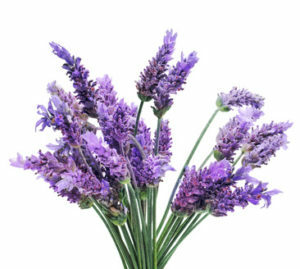 The study prompted the National Institutes of Health to issue an alert about lavender and tea tree oils potentially acting as endocrine disruptors -- something that interferes with the endocrine system -- in boys who regularly used products containing them. Tony Starkman, CEO of the Australian Tea Tree Industry Association, calls the study “poor science.” He said the amount of oils contained in the products was too small to have an effect. “The fact is that tea tree oil was not present at all in two of the three topically applied products; therefore linking gynecomastia to tea tree oil is at best tentative and at worst incompetent,” he writes in a statement to WebMD. A year after the NIEHS study, the Research Institute for Fragrance Materials Inc. did its own study using rats. They found no evidence that lavender or tea tree oil affected hormones. In 2013, it completed a second study, again finding no effect. In all the cases Bloch and Diaz documented, the children’s breasts shrank when they stopped using the products. From the recent study by Dr. A. Diaz et al, from the Journal of Pediatric Endocrinology and Metabolism. Click on the link for also 2 interesting comments after it (by Tony Larkman an industry representative, and rebuttal by Dr. Diaz): Prepubertal gynecomastia and chronic lavender exposure: report of three cases. Prepubertal gynecomastia is a rare condition characterized by the growth of breast tissue in males as a consequence of early exposure to sexual hormones. When this condition is present, pathological sources of testosterone/estrogen production, such as adrenal or gonadal tumors must be searched for. A few reports have described an association between gynecomastia and substances that produce stimulation of the estrogen receptor, such as lavender and tea tree oil. Here we describe the cases of three boys who presented with prepubertal gynecomastia and were chronically exposed to lavender. Two of these boys were exposed to a cologne, named agua de violetas, used by Hispanic communities in the US, and in their countries of origin. We studied a sample of the cologne used by one of the patients. Analysis of the chemical composition of the agua de violetas cologne was performed using high-performance liquid chromatography as well as off-line mass spectrometric detection. All these, combined with the physical appearance and the smell, determined that the cologne had lavender as an ingredient. Exposure to estrogenic substances, such as lavender, should be explored in children presenting with prepubertal gynecomastia/thelarche.